911uk.com - Porsche Forum : View topic - Fuel economy is terrible! 911uk.com Forum Index > 991 (2011 - current) > Fuel economy is terrible! Posted: Tue Apr 24, 2018 8:28 pm Post subject: Fuel economy is terrible! I’ve had my 991.1 Carerra S for 6 weeks now I’m in staggered how bad the fuel economy is. In my previous car, a 997.2 I would achieve an average 23mpg, with mixed driving spirited and cruising. In the 991.1 I’m getting 18mpg. I’m not one that normally worries about fuel economy, but I expected better as it’s frustrating making so many visits to the petrol station. So just wondered what mpg others get and if I have some kind of fault? could it be the pcv valve/hose, are you getting a check engine light? Posted: Tue Apr 24, 2018 9:26 pm Post subject: Re: Fuel economy is terrible! No check engine light on. my 997.2 only does 18 ave but I do have mods on it , are you using superunleaded in it. I’ve always been impressed with the economy. I did a 130 mile run of M, A and B roads yesterday (no town stuff) and got 28 mpg. On long steady motorway runs I can get over 35 mpg - no doubts thanks to 7th gear overdrive. All figures based on the car’s computer figures. In town, achieve about 23mpg (always have Start/Stop engaged). On fast A-roads/dual carriageways about 27mpg. On long motorway journies, about 32mpg. So, 18mpg would seem low, but really depends on the type of driving/route. Worth getting the car checked for any stored faults. Thanks guys. Took it in for a check today and apparently all is normal on the diagnostics so I guess it’s just the way it is. I won’t worry about it too much! I was always pretty impressed with the economy on my 991.1 C4s. I used to get 23mpg or so around town and easily over 30 on longer journeys. It was night and day better than the e92 M3 it replaced which couldn't break 27 mpg downhill in neutral slip-streaming lorries! The 991.2 is better again when cruising and in traffic (although only marginally) but drops to a similar level as the 99.1 when 'exercised'. Another factor might be PDK Vs manual .... and if PDK whether you drive it in manual mode. If you leave them in auto they shift up very quickly to top given half the chance. If you hold lower gears in PDK or have a manual that might account for it. My 997.1 last week driving to Scotland according to the computer averaged 26mpg virtually all on the motorway at a pretty constant speed ! on cruise control. I got between 18 and 23mpg on my 997.1, and i'm getting between 26 and 32mpg on my 991.1. I have been extremely impressed with efficiency on the 991. I would definitely be suspicious of your lower numbers. Hey guys. Just a quick update on this. I’ve just come back from a European road trip, 3000 miles in 10 days lots of motorway and lots of alpine twisty fun stuff. Over the whole journey I averaged 24mpg. What’s interesting is I did the same trip last year in my 997.2 in which I averaged 26.5 mpg. I’ve been taking the 997.2 to Europe for about five years and get 30 mpg and average 52-54 mph. Only varies by about 1 mpg regardless. C4S lower than C2S. 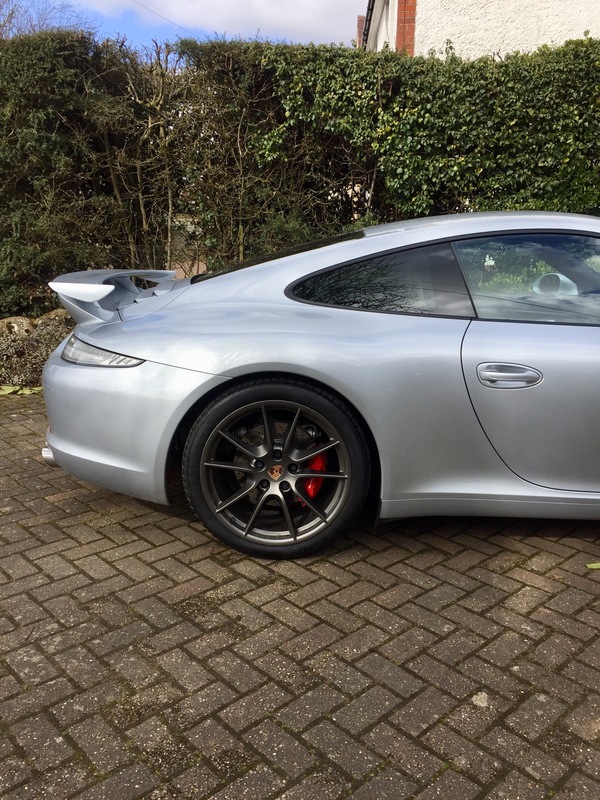 Sounds like quite a drop on the 991. Can't reconcile this with my experience over 3 years of ownership. I found the 991.1 surprisingly frugal. My 997.2 C4 is consistent at 23mpg fast or slow driving doesn't seem to make much difference, I always run Shell Vmax or BP Super, not too bad I think. Don't know if you guys are using the on-board read out to verify your MPG but my experience with an Audi was that the trip computer was 10% optimistic compared to actual testing filling to brim etc (No surprise there I guess ). Might be worth checking it manually. I'd check the fuel consumption manually. * and I've got the tickets to prove it.